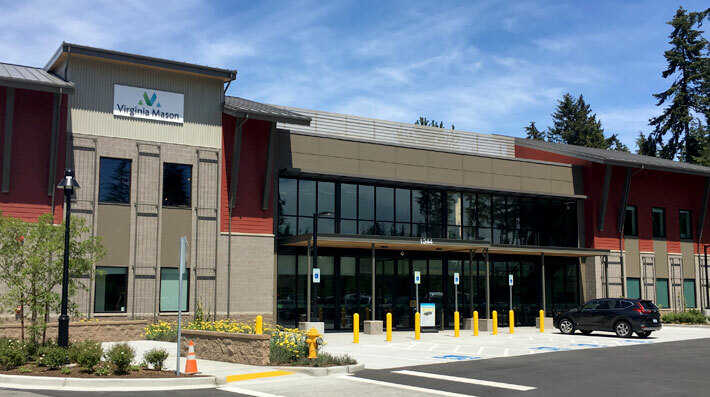 Visconsi Companies has completed the development of a 30,000-square foot medical office building at its Wintergreen Walk development in Bainbridge Island, Washington for Virginia Mason Medical Center. This facility outside Seattle will provide primary and ancillary medical services to the Kitsap County community. Virginia Mason ranks as one of America’s top 50 hospitals. For further information on retail and other use opportunities at Wintergreen Walk and other Visconsi Companies new developments and portfolio properties, please contact Mike Olsen, Vice President of Leasing.